Paul becomes a major hurricane but expected to weaken. 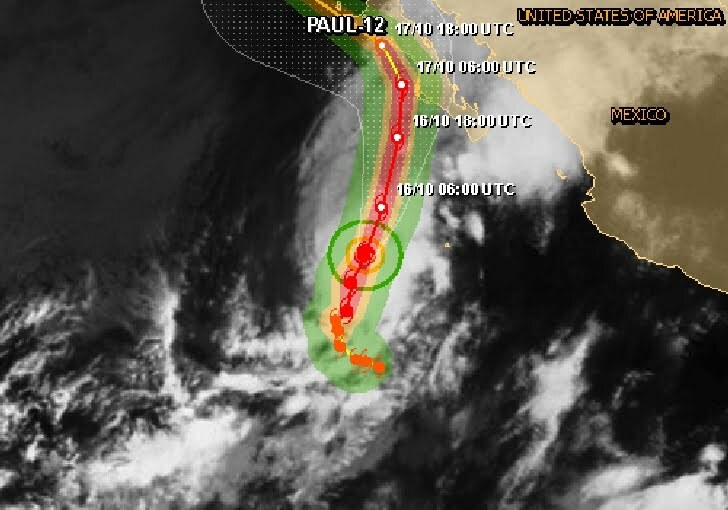 At 14:00hr the center of Hurricane Paul was located near latitude 18.4 north/longitude 114.2 west, about 670km / 415mi SW of the southern tip of Baja California. 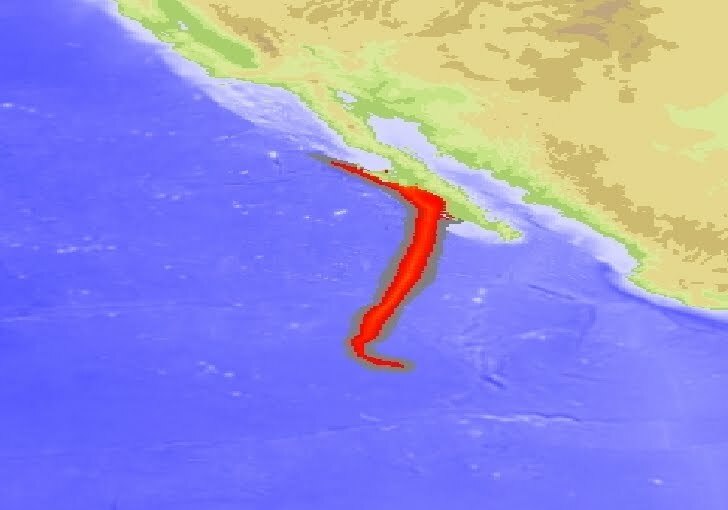 Paul is moving toward the north-northeast near 20 km/h - 13mph. This general motion is expected to continue tonight and early Tuesday followed by a turn toward the north with a decrease in forward speed. A turn toward the north-northwest is expected on Wednesday. 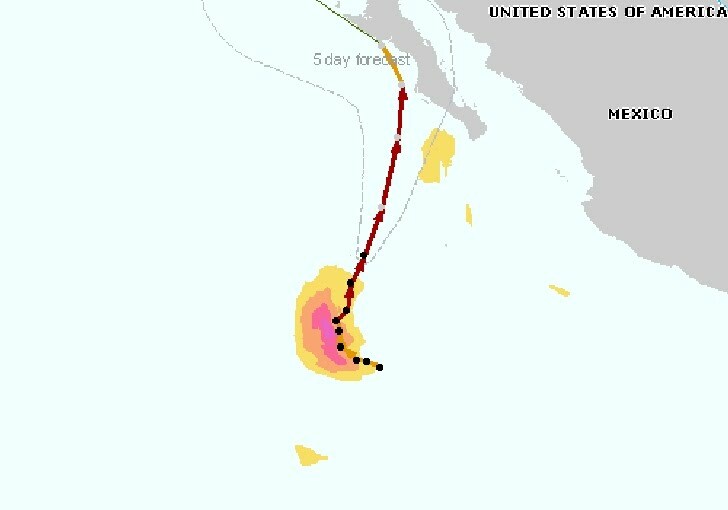 On the forecast track the center of Paul is forecast to approach the West Coast of the southern Baja Peninsula late Tuesday and be near or over the central Baja Peninsula on Wednesday. Hurricane Warning means that hurricane conditions are expected somewhere within the warning area. A warning is typically issued 36 hours before the anticipated first occurrence of tropical-storm-force winds conditions that make outside preparations difficult or dangerous.